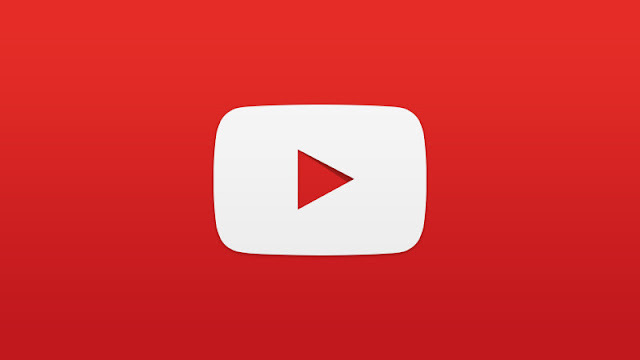 YouTube being one of the most popular online videos service adds a very useful to its platform. 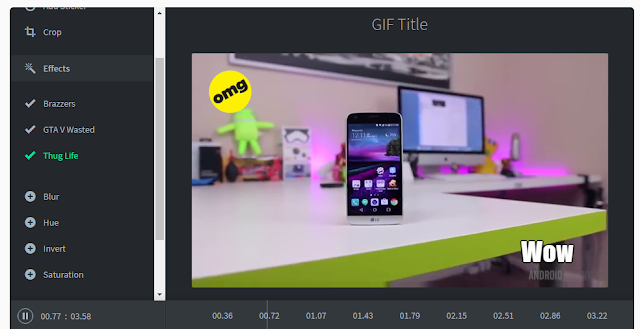 Converting YouTube videos to GIF is built in feature for most YouTube videos. It is not that easy to convert some of the videos to gif because, some videos doesn't have the option to convert them into gif. 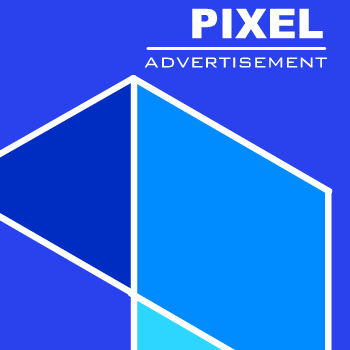 However, there is always a way to convert YouTube videos without the built-in feature. 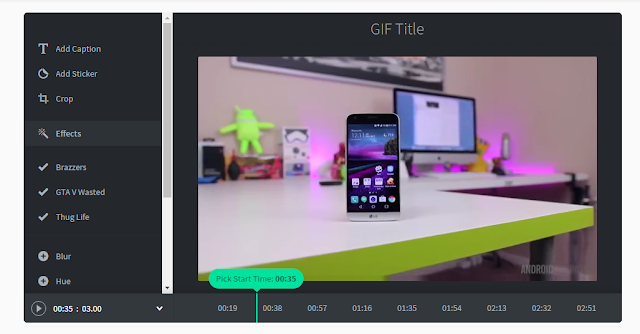 There is an alternative website GIFs.com that can easily convert YouTube videos into gif. To convert a section of a YouTube video into gif, the first thing to do is to copy the url of that YouTube video and then paste it on the GIFs.com homepage. Like the screenshot below. 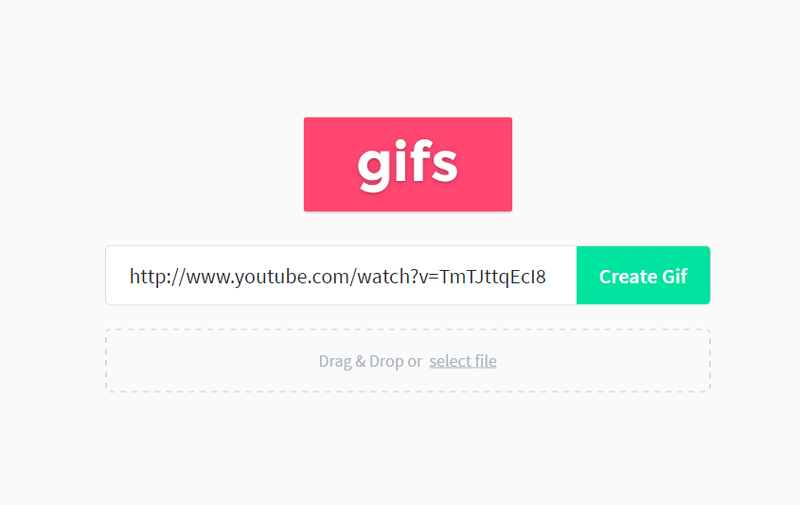 Alternatively, you can easily add "gif" at the front the front of that YouTube video url, if you've already open the video and save your time copying and pasting into GIFs homepage. 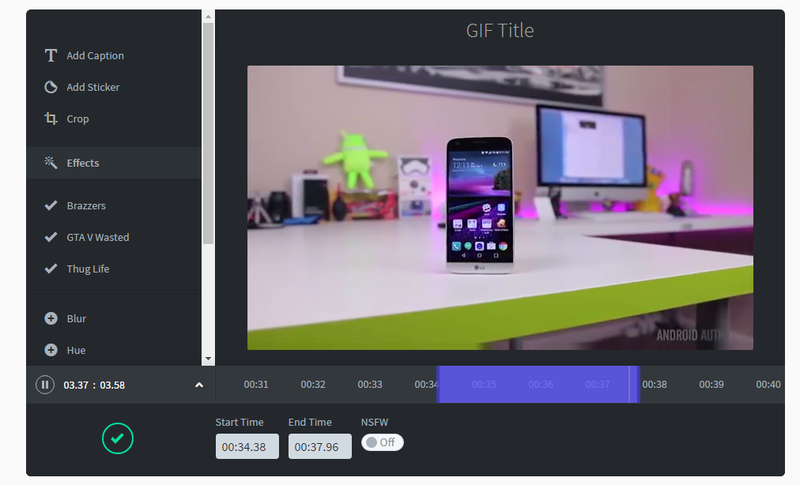 Then GIFs.com will now automatically get the video from YouTube website and then get it ready for editing. Then select the frames you wish to use for your GIF. Now use your Start time meaning choose where you want your GIF to start. The Start time is a greenish bar on the timeline. Then you can add Text captions, stickers, adjust its hue and saturation and so many more you can add. You can also adjust the length of the GIF to last up to about ten seconds with the use of GIFs.com. You don’t need to register in order to use any of the site’s features. This, along with many of the advanced editing features, makes it one of the best, and easiest to use, options available for converting online videos into GIFs. Then click on the "Create gif" button.